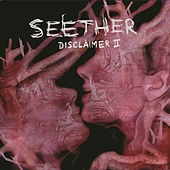 Right out the gate, Seether make it plainly obvious that they worship those '90s alterna-gods Nirvana. Considering most post-grunge acts in the 21st century are obsessed with hyper-compressed power balladry, the group's punkish snarl ("Gasoline" is a genuine rager, as is "Pride") sounds straight-up refreshing. This, of course, doesn't mean the South African trio doesn't entertain forays into the land of the soft; after all, the album's biggest hit is "Broken," a gothic-tinged number that pits Shaun Morgan's cheese-grater howl against the dark-angel lushness of Evanescence's Amy Lee.